People imagine all kinds of crazy stuff, I read about a woman that became hysterical and crashed her car trying to escape from a point of white light that was following her, and no matter where she drove, or how fast, it was hovering above her in the sky. It was the planet Venus. Maybe 'they' perfected the tech. Got cloaking working proper like. I've just heard that the numbers of sightings have actually been increasing during the past few years? Last edited by Parson; 20-12-2006 at 01:11 AM. What are you talking about? So a UV light bulb becomes lighter when it is switched on? oh you meant lighter as in mass. there's a difference between emitting uv light and mass being energized to the point that it loses mass. basically what is explained over 3 hours is how with enough energy, matter can exist in a highly quantumized state that doesn't have any mass. if you look at the ufo videos of these fuckers zipping around they are doing maneuvers that would crush anything with mass. anything with any amount of mass would also destroy itself if it approached light speed. anyway, the reason it would be impossible is the tremendous amount of energy that would be required to attain this highly quantumized state. once there, it wouldnt require much to actually propel a craft. what these guys are suggesting is that these ufos are powered by tiny black holes at their core. 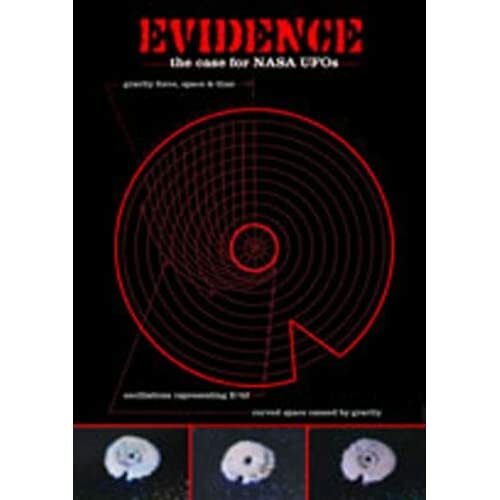 the illustration on the front is depicting a "galaxy clock" which shows how black holes bend time, space, light, whatever into a spiral, as can be seen at the core of a galaxy, and is seen in the patterns flickering on the ufos that turn up on the NASA cams. also the dropa stones had spirals, crop circles, etc. when a formation is seen developing over earth, where several UFOs form a huge ring, and then a final one descends down in a clear 3-d projection from space to earth, finds its position in the center, and the whole formation LIGHTS UP super bright. Last edited by Parson; 20-12-2006 at 01:13 AM. Last edited by Parson; 19-12-2006 at 10:04 PM. basically what is explained over 3 hours is how with enough energy, matter can exist in a highly quantized state that doesn't have any mass. I have seen all those videos of 'formations' and 'storms' by the way. Just space fluff, dude. Last edited by HMGovt; 19-12-2006 at 04:56 PM. Last edited by Parson; 19-12-2006 at 04:55 PM. what they can't explain is how they fly in formation, change trajectory, and escape earth's atmosphere.